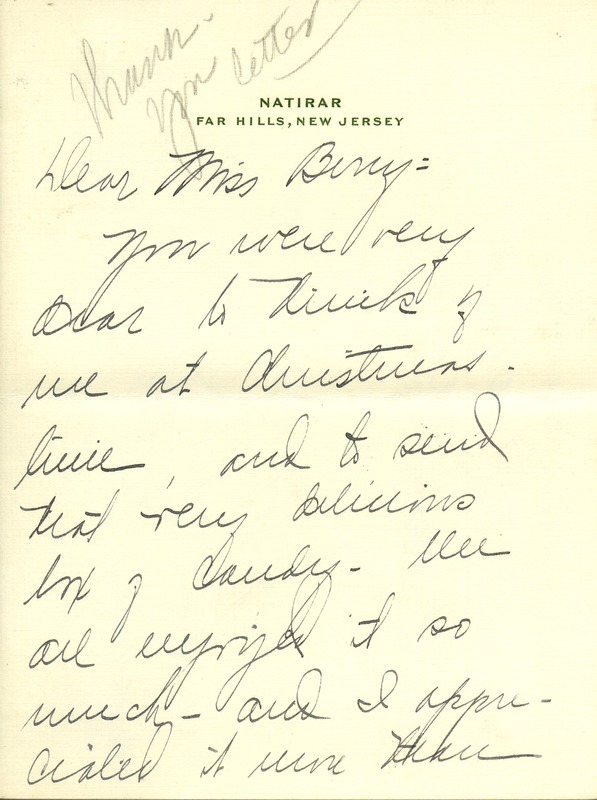 Miss Vaughn, one of Kate Macy Ladd's assistants, writes in thanks for the delicious Christmas candy. She is sorry to learn of Roanie's death, but happy to hear that he will still be with Berry "in a little different form." 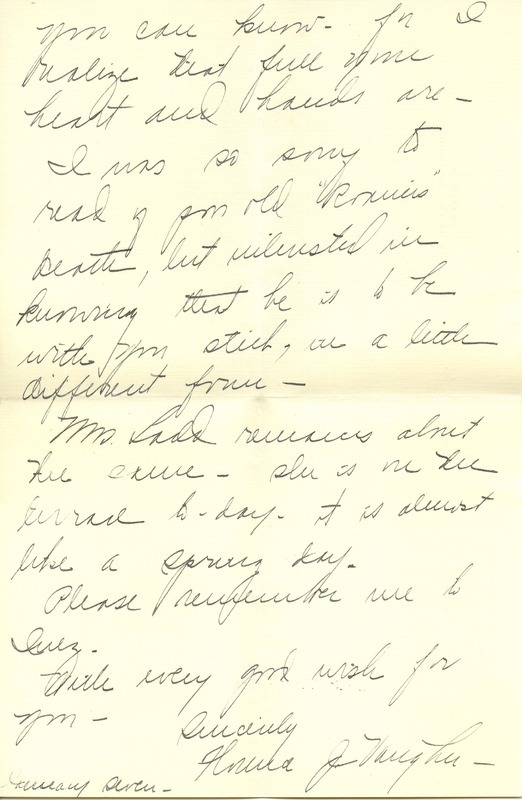 J. Vaughn, “Letter to Martha Berry from Florence J. Vaughn.” Martha Berry Digital Archive. Eds. Schlitz, Stephanie A., Sherre Harrington, Meg Ratliff, et al. Mount Berry: Berry College, 2013. accessed April 21, 2019, https://mbda.berry.edu/items/show/11529.